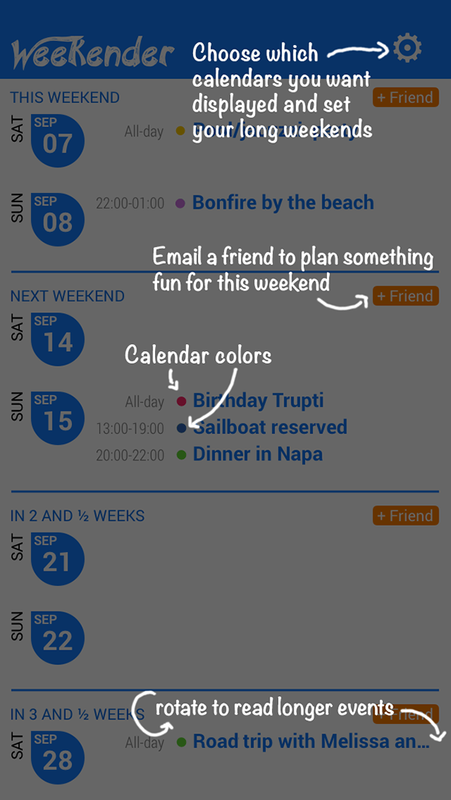 This app is all about your weekends :) Big things happen on weekends, so why let yourself be distracted with weekdays in your calendar! NEW: Friday evenings are special, if you want, you can now include them in your weekends. Seamlessly displays the events from your existing iOS, Google, Facebook, Meetup or any other calendar you have added to your iOS account. Enter your holidays and your vacation days and be prepared with a road trip when that long weekend arrives. (in-app purchase for $0.99). 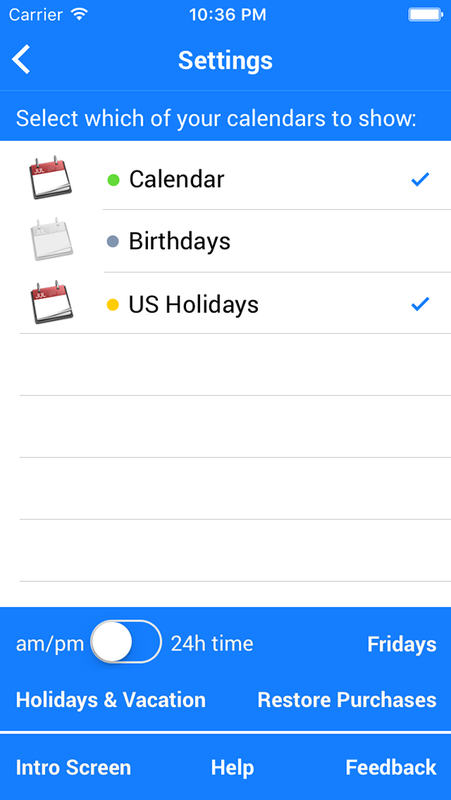 The app allows you to select or hide each indivual calendar your phone has access to. No need for work calendars to clutter your weekends. 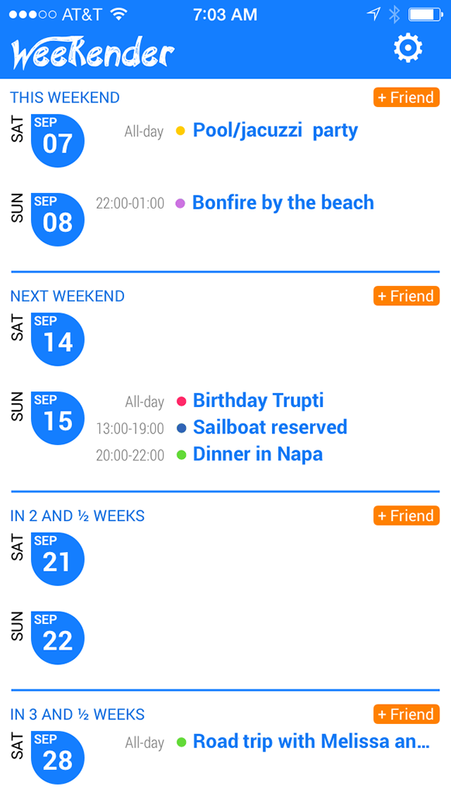 “ Use it all the time to plan my sailing week-ends. 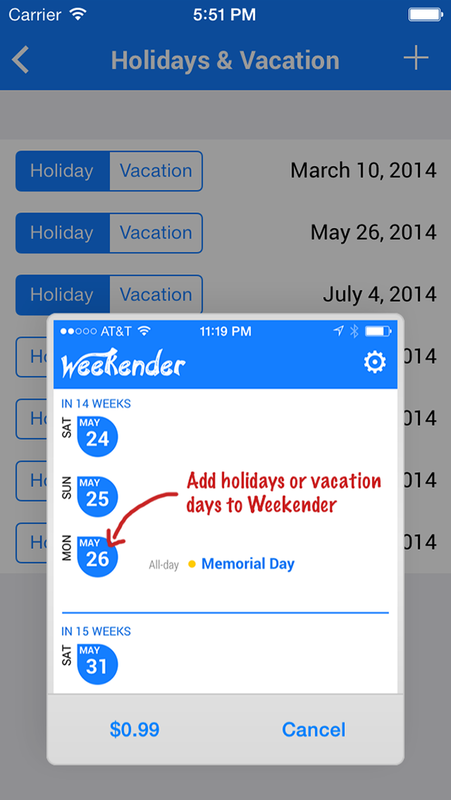 Highly recommended ” Paolo S.
“ Great App to just look at Weekend schedules and enable planning them. You don't have to check the many calendars you have and search for a view of Saturdays and Sundays... a great, great app !! ” P. B. from C.
Weekender is not longer just a viewer! You can edit your events!